Glarysoft Giveaway, one of popular giveaway site, had successfully run a large amount of daily firsthand, freshest giveaways. It ensures the high quality and reliability of the freebie offerings, deemed to be on a par with Giveaway of the Day. Just visit the Glarysoft Giveaway page, and here on it you can read that Glarysoft had closed his giveaway offers for a while. What a pity! It is such a giver that always loves to bring the great convenience and benefit to its website subscribers. 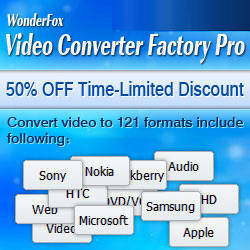 WonderFox Soft (https://www.videoconverterfactory.com/), a leading developer of Windows multimedia applications who always make every effort to lead a secure digital life for users, and products cover DVD Video Converter, DVD Ripper, Video Converter, Video/Photo Watermark, Video to GIF Converter, etc, was cooperating with Glarysoft Giveaway a lot, which is highly acclaimed by the public. 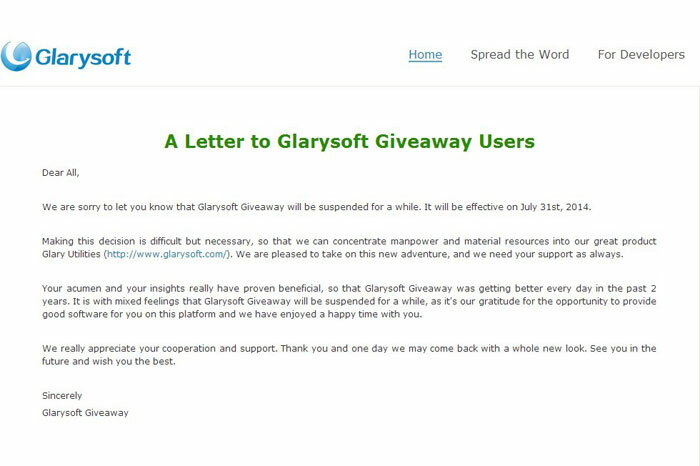 As a hand-in-hand partner, we are really sorry to hear the news of Glarysoft free giveaway’s suspension. On the other hand, it is believed that we are under obligation to carry on the unfinished career of Glarysoft Giveaway working for the benefit of users. Based on this, we propound the proposal for launching regular free giveaway to redound upon our customers. Please maintain sustained attention to our giveaways and feel free to access our promotion page. In the end, thanks for the prolonged help and support from Glarysoft Giveaway by providing a wonderful platform for our products. Enjoying the general new and old customers’ affection, we pledge unceasingly diligently, sincerity back coupling each customer!